Srixon Z565 wins Most Wanted Driver for 2017! 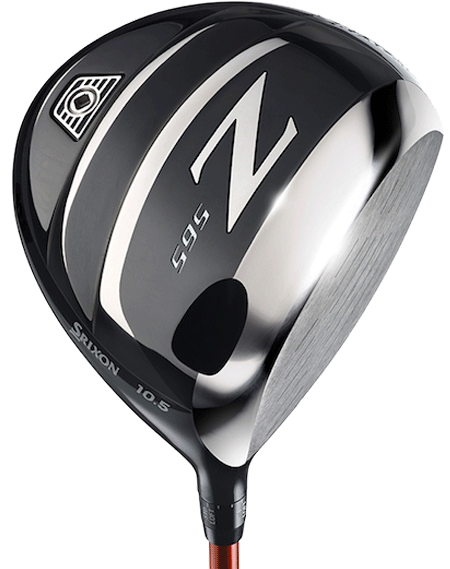 My Golf Spy just announced that the Srixon Z565 wins the Most Wanted Driver for 2017. This is a great low spinning driver (and forgiving) and to celebrate Srixon is offering a great shaft offering (at no upcharge). 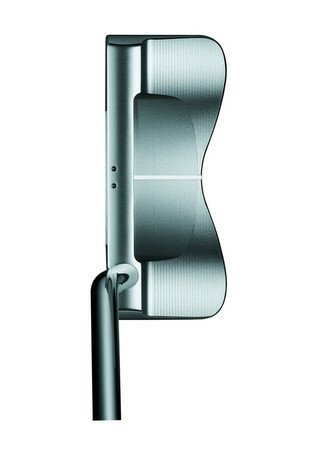 Contact us now to set up a private launch monitor fitting to see how well this beast can perform for you. For a limited time only (5/8 – 5/31) there will be no upcharge on the Project X HZRDUS Shaft (Black or Yellow) with purchase of a Z565 driver. 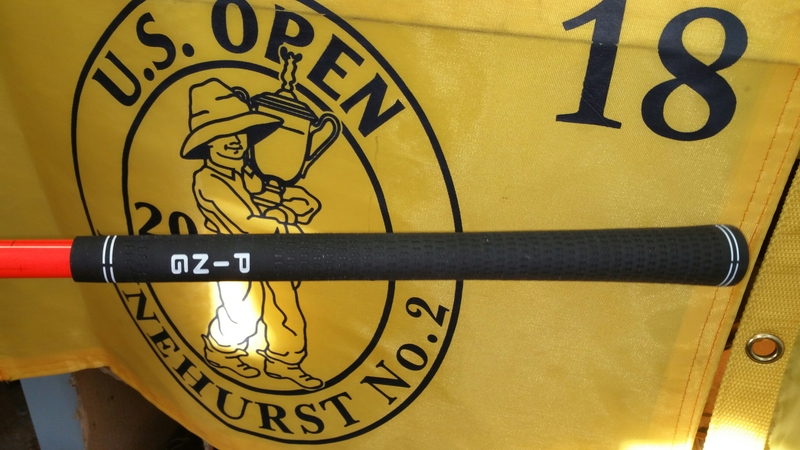 The HZRDUS shaft has an MSRP of $299.99, has risen in popularity on the PGA Tour, and is now the #1 shaft model. This no upcharge deal on HZRDUS will also apply to Z765 drivers and F65 fairway woods as well. “Just thought I would share a picture of our water hazards. 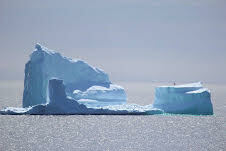 These giant Ice Bergs show up every year around this time as they drift south from Greenland, past Newfoundland and into to open water. 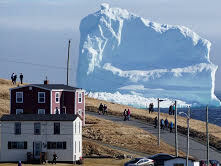 This route is known as Ice Berg Alley. It is a regular sight for me to see these across the street from my house. I even hit golf balls at them from time to time. One of the pictures shows a helicopter that landed on one the other day. It looks like a fly spec. 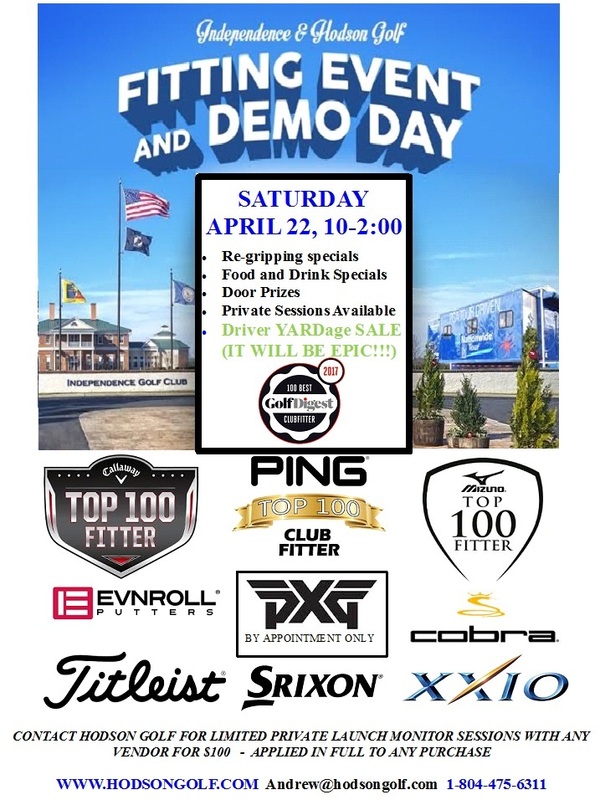 YEARLY DEMO/FITTING EVENT THIS SATURDAY 4/22/17 10-2:00 AT INDEPENDENCE! 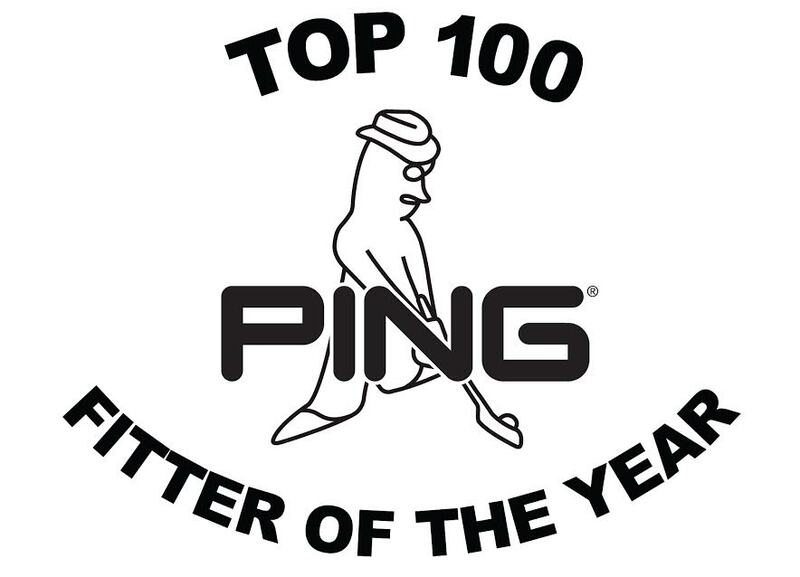 We are excited to have the “best of the best” vendors showcasing the hottest clubs in golf. There are very few reserved spots left so if you want some quality launch monitor time with a certain vendor be sure to pre-register/pay now ($75 fee is applied in full to any purchase). Please note that due to demand and upcoming release of the new PXG wood/fairway/hybrid line-all booked/private PXG times have been re-scheduled. Callaway Epic statistical results! – the numbers don’t lie!! This goes out to all you naysers out there who think the Callaway Epic driver furvor on the internet is just a bunch of hype. I was proud to host a Callaway regional “Epic” event yesterday at Independence where 60+ representatives from all aspects of the regional golf community (Big Box, Green Grass, Mom+Pop, etc.) attended for a fun-filled afternoon of classroom and hands-on outdoor stations including wedge fittings, iron fittings, and driver/epic fitting/challenge. 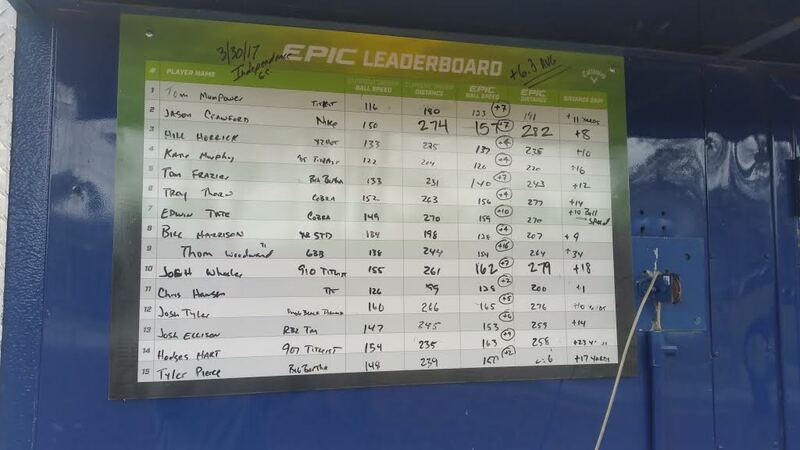 The photo of the epic driver challenge results (which is proudly mounted by the door to my tour trailer) is a true non-biased representation of how truly Epic this driver is. Now there are only 15 entries on the leaderboard so I can’t show you the total results but EVERYONE added both ball speed and yardage in comparison to their current “gamer” drivers which everyone was encouraged to bring. The field comprised of professionals, scratch amateurs, and everyday hacks with all competing drivers present (Cobra, Titleist, Taylor Made, Nike, etc). MEDIAN AVERAGE YARDAGE GAIN = 12 YARDS!!!! I was sincerely blown away with Callaway flying me out to Carlsbad for an unbelievable 3 days to accept this great honor. Perhaps the single best memory was walking into the main atrium to have the entire Callaway staff (from corporate to factory workers) give us a standing ovation – a true touch of class Callaway! Mark your calendars now – this will be the biggest and best yet! Titleist/Vokey, Cleveland, Srixon, XXIO, Cobra, Mizuno, Callaway, Odyssey, PXG (appointment only), EVNROLL (Appointment only), PING, and others!!!!! New ping g812 junior drivers now available-Stay tuned for a special upcoming junior event at Independence! 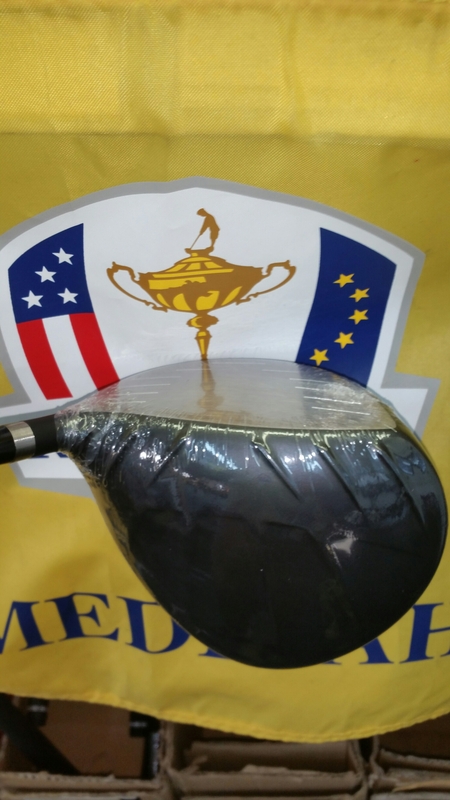 This is the perfect driver for the aspiring junior golfer who is ready to get out of the typical cheap junior drivers but who is not quite ready for standard men’s or women’s drivers. There are several lengths available and can significantly improve driver distance and control performance for those junior stars as young as 8. We have a limited quantity available so please contact us asap to put that special gift under the tree. I know there are a bunch of you on the waiting list so first come first fit. If you would like tomorrow’s fitting at 11:45 please text me direct at 804-475-6311. 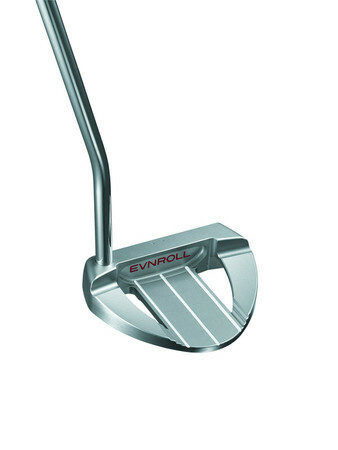 EvnRoll wins 2017 most wanted blade putter! As long as I’ve been doing this, I understand, better than anyone, the impatience golfers have in regards to getting new equipment (and I’m the same way) . I only write this as I’ve been fielding some downright rude emails and phone messages regarding availability. Please understand that custom fittings are performed by our staff of 3 (me, myself, and I). We are currently booked through mid-March and continually have 40+ people on our weekly availability email. If its any consolation last Spring we were booked nearly 6 weeks out. My advise is to book a session (however far out) and you will be notified if anyone cancels or if other day/times become available. If you can’t wait then just kindly ask us to remove you from our weekly availability email – its as simple as that (then go take a damn Xanex). Due to overwhelming demand for this Friday’s Epic Driver Fitting event at Independence 3-6:00 we have been forced to limit this to primarily registered participants only. As we initially promoted this as an “open event” we will still have one station for those just wanting to hit the Epic but will limit each participant to only 10-15 minutes. For those of you who have registered and paid ($75 gift certificate) you will be given priority and if we have not contacted you directly yet for your preferred session time we will be doing so shortly. For those of you who are planning to be fit for a custom Epic Driver for purchase you are encouraged to purchase a $75 gift certificate (which will be fully applied to the driver purchase) and your desired time frame. We have added some additional sessions which will not last long. We will soon follow up with your individual session time. For those wanting to “kick the tires” you will need to register at the reception table and you will be given a numbered ticket for your lineup (like a deli counter). If you decide to purchase then we will move you into one of the fitting stations to dial in your custom specs. Sorry for the change-up but we want this to be an enjoyable event for everyone. I’m not the guy to hype things up but the fact that Callaway has pretty much sold out of these heads is a testament to their success. Be my guest and call in just a stock driver order and see what they tell you (LATE MAY!) Hodson Golf does still have some heads and exclusive availability through Callaway Tour Custom which will be allotted on a strict first come – first serve basis. Due to the demand we have received for Friday’s Epic Driver fitting event, priority will be given to those coming out to be custom fit on the launch monitor to purchase their own custom fit Epic Driver. Sorry but tire kickers will have to wait at the back of the line. Simply purchase a $75 gift certificate which will be applied in full towards any driver purchase. When purchasing please let us know the time frame you would like to come out and we will contact you to confirm your fitting time (feel free to arrive a few minutes prior to warm up). Hodson Golf will also have the exclusive line of Paderson Kinnetix Golf Shafts recently discussed on a nationally syndicated talk show. 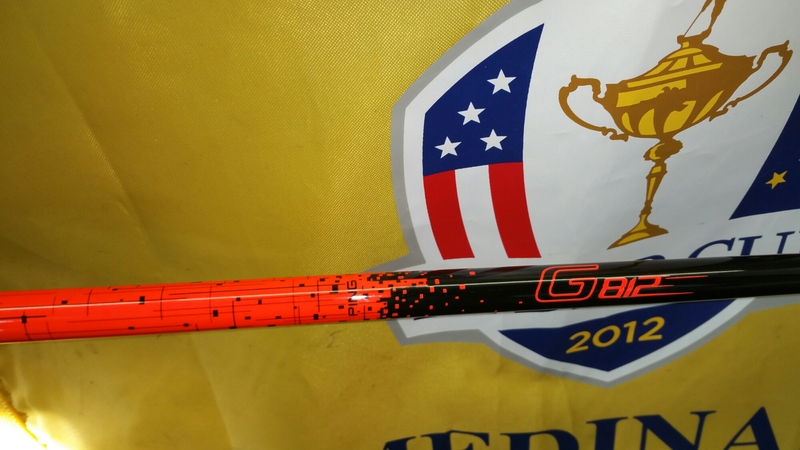 This shaft paired with the Epic Driver saw gains of 20+ yards in total distance for the host. and will be open to the public. If you would prefer a private fitting (advised) when its not such a zoo please contact us directly. We are the areas only exclusive dealer and these shafts and not currently offered by any OEM. This event will be open to the public so take this opportunity to compare your current gamer driver with the new Epic beast. Trackman launch monitor will be setup to give you accurate hands-on data comparisons. If you would like a private session please contact us directly to block you out some private time. Actually, Cobra won gold across all categories but their new hybrid and fairway line are impressive. Cobra has finally brought back the sole rails that put them on the map in the first place. These sole rails coupled with a flatter sole plate and changeable CG (Center of Gravity) make these clubs so much easier to hit (especially off tight lies). Cobra took these rails to the next level and designed each head/loft with either short, mid, or tall rails to fully optimize attack angle/launch/spin. Cobra also now offers a great diverse line of custom shafts at no up-charge so contact us today to find your optimum fit. Hodson Golf is proud to be the latest U.S. dealer for this exclusive premium Japanese lineup. Their new XXIO Prime series feature some of the lightest components available which are solely designed for faster head speed, faster ball speed, higher launch, and significantly more distance for the “Moderate” swinging golfer. XXIO is currently the fastest growing golf equipment brand in the U.S.
50% of XXIO equipment is sold to women (whereas most manufacturers are less than 15%). XXIO golf is the “uber-prime” golf line direct from Japan. It’s actually the leading high-end golf equipment line in Japan, and Hodson Golf now has access to this truly unique lineup. The XXIO PRIME line is geared specifically for the “more advanced/senior” golfer (both male and female!) looking to generate more ball speed, higher launch, and ultimately more distance. These clubs feature some of the lightest shafts imaginable (less than 40 grams) and provide much higher launch, distance, and control. Their patented DST (Dual Speed Technology) offers: Optimized Head Path, Increased Swing Speed, Higher Head Speed, and Higher Ball Speed. 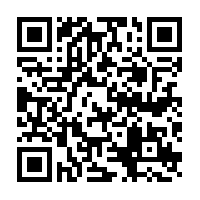 I have included the spec sheet below. 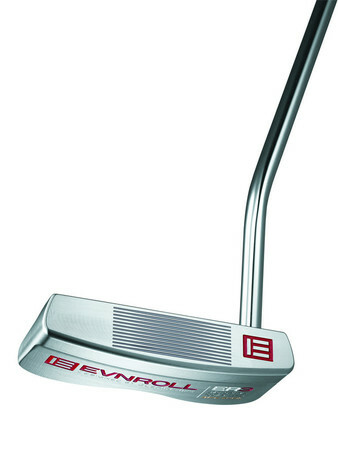 Hodson Golf will have several of the new 2017 EvnRoll putters available next week! 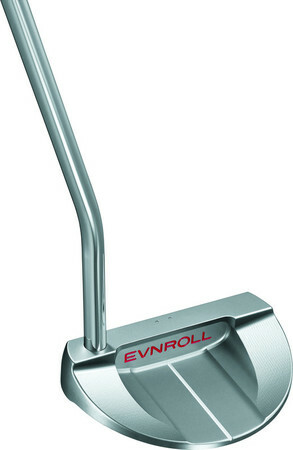 EvnRoll is adding some great additions to their already strong line of putters. Look out for the new ER3, ER6(black),ER7, and ER8 (photo’s below). We will have several of these next week and the remainder in the coming weeks so take advantage of the slow winter months and get yourself fit for your own custom EvnRoll only through Hodson Golf. 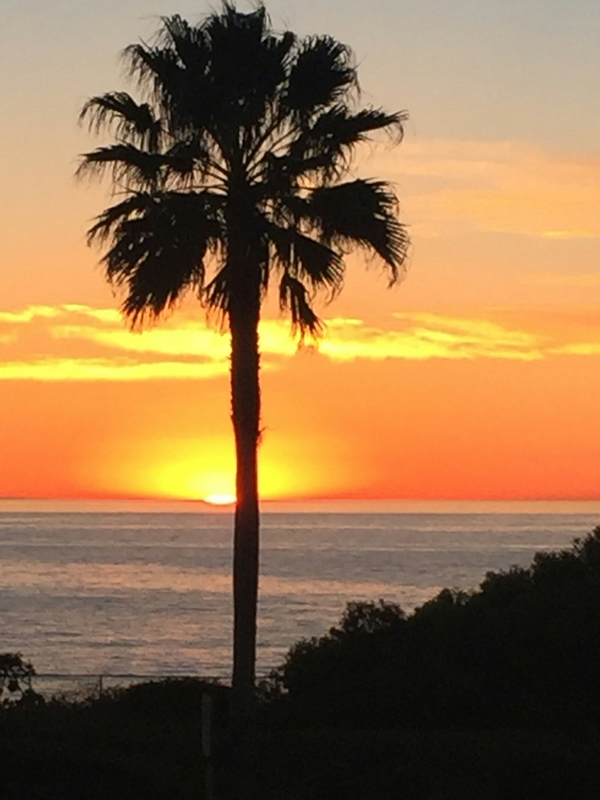 PGA Trade show begins 1/24/17 – Stay tuned! Stay tuned for the yearly barrage of posts highlighting the latest and greatest from the Demo Day and the trade show itself! So Callaway has officially unveiled their top secret driver featuring the industry’s only “jail break” technology. I saw this firsthand about a month ago and to say I was intrigued would be an understatement. Just before Christmas we worked with several Callaway staff players and the increased numbers and significant results from the launch monitor statistics convinced me only more. The ball speed is higher, the spin lower, and the distance and control was unsurpassed. I know for a fact that the testing with some of the PGA tour players showed increased distances of OVER 20 yards!